A strong incentive is the lifeblood of solving any challenge. That’s the message experts offered August 4 as part of a Challenge.gov webinar series on running successful federal competitions. Sam Ortega, manager of NASA’s Marshall Space Flight Center’s Partnerships Office, and Christopher Frangione, vice president of prize development at the XPRIZE Foundation, shared how government agencies can attract and motivate problem-solving communities to deliver decisive solutions. And while the prize purse matters, both agreed it’s not all that counts. “You need a sufficient prize purse,” Ortega said. Look for creative approaches to rewarding results, he said. 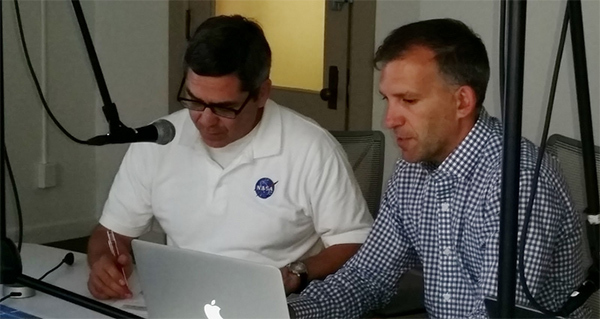 NASA has engaged teams with prizes ranging from astronaut visits to time in a space center. Agencies can appeal to small businesses and startups, for example, with access to test facilities, comparison analytics, expert interaction and other in-kind contributions that typically would prove too costly. Do not underestimate the importance of hard and soft incentives in creating an attractive prize package, Frangione advised. On the agency side, crowdsourcing opens discussion, ideation and technical development to a wider public who might not typically understand or follow federal acquisition cycles. For problem-solvers, renown can lead to partnerships, visibility with venture capitalists and legitimacy within the scientific community for starters. All are forms of capital, Frangione said, that can provide value after the competition ends regardless of who takes the top prize. But even with the best prize package, an ill-defined problem will leave potential problem-solvers stumbling at the gate, and a lack of promotion will almost always short-circuit participation. Watch the webinar to learn more about creating compelling incentives and attracting key audiences, and save the date for the next module in the series, Operational Best Practices and Lessons Learned, on September 10. Missed Module 1? You can read this recap of Prize History, Prize Theory and What Makes a Good Prize.